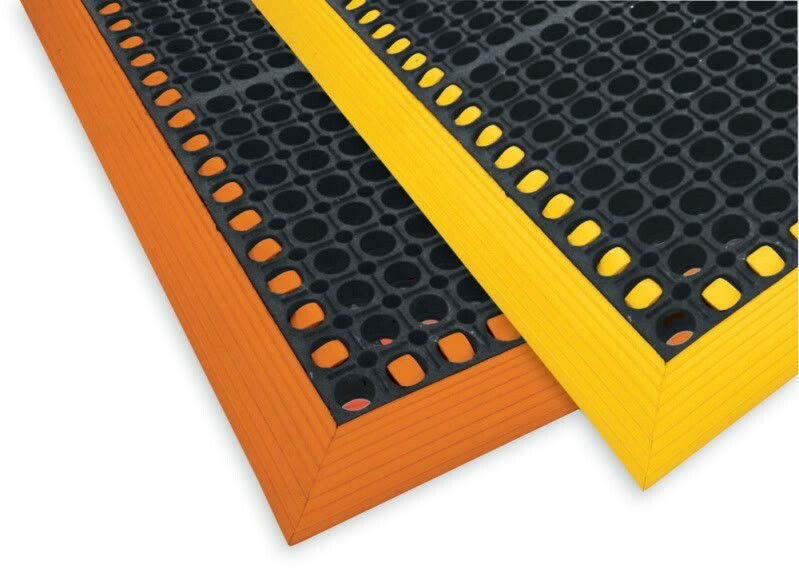 Safety Tru-Tread Rubber Mats - Safety Matting | Mats Inc. 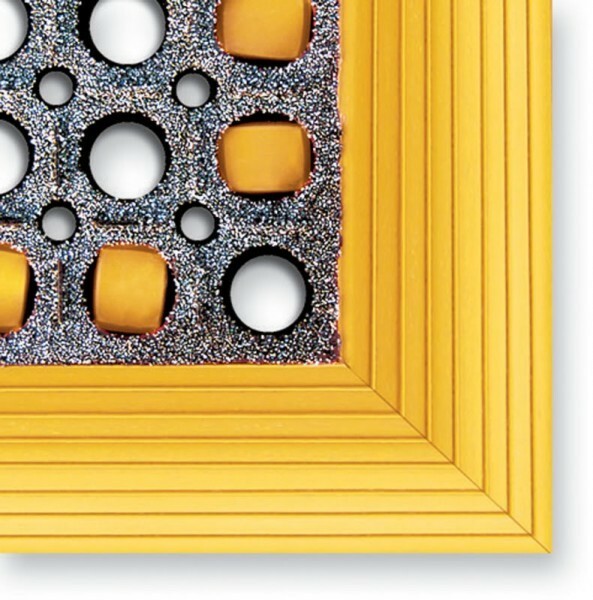 Heavy duty 7/8" construction with durable, beveled borders. Elevated construction allows fluids to drain away from work areas. Colored borders for increased safety awareness. 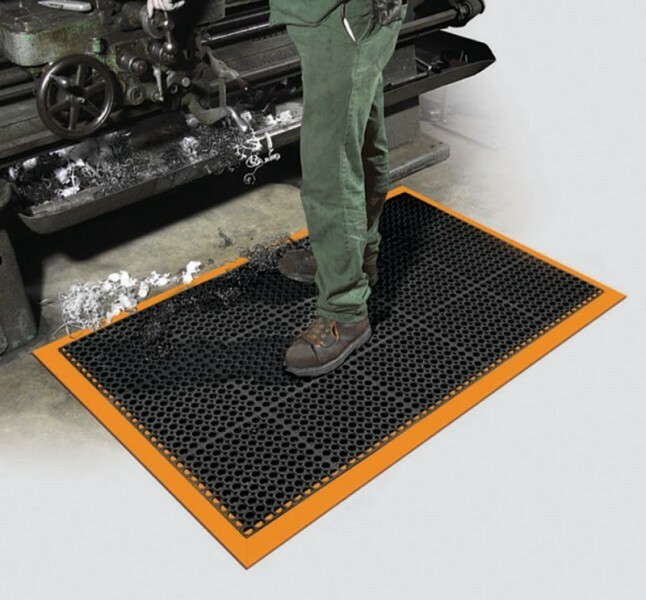 Available in grease resistant black or black grit coating for added traction. 3 sided bevel mats are beveled on 1 short side & 2 long sides of the mat. 4 sided bevel mats are beveled on all 4 sides.